committed to bringing one of a kind entertainment to Bruce and Grey Counties. and fun Photo Booth we create events that are uniquely yours! We’ll get your guests moving! We’ll get your guests singing! We’ll make your day extra special! We’ll get your guests laughing! Joseph J knows how to get the party started. I would just like to say that we really had a great wedding reception.. Your DJ was amazing … He made the reception so much fun..everybody loved him!! Thank you for making our Telesat Company Picnic such a huge success! Your choice of music and ability to read the crowd was spot on! As a stickler for punctuality, I very much appreciated the fact that you were present and set up well before the start time. 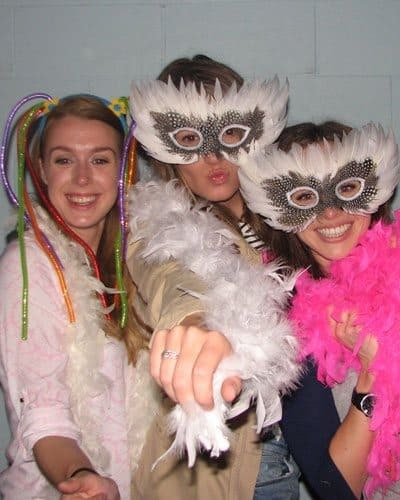 Looking forward to having you back next year and adding on the Photobooth component. It was great having you DJ our wedding. We built the dance floor only expecting to use it for the first few dances. We were presently surprised that the dancing continued throughout the evening. A full dance floor is a sign of a good party, which means a great Dj. We made the best decision for our reception by hiring Joseph J Entertainment. Joseph was very accommodating and wanted to make sure we had exactly what we wanted. He made our wishes happen, even an untraditional special family dance. He had our guests on the dance floor all night and definitely knows his music and what was going to work for our group. Thank you Joseph J for making our wedding a fun and memorable evening for us and everyone who celebrated with us. Interested in booking an event? Proudly bringing cutting edge entertainment to Port Elgin, Southampton, Paisley, Underwood, Kincardine, Allenford, Tara, Chesley. Walkerton, Hanover, Durham, Owen Sound, Wiarton, Sauble Beach, Shallow Lake, Chatsworth, Desboro, Kilsyth, Meaford, Thornbury, Kimberly, Collingwood, Lion’s Head, Red Bay, Tobermory, Cape Croker, Saugeen First Nations, Mildmay, Teeswater, Wingham, Cargill, Ripley, Goderich, and Point Clarke.